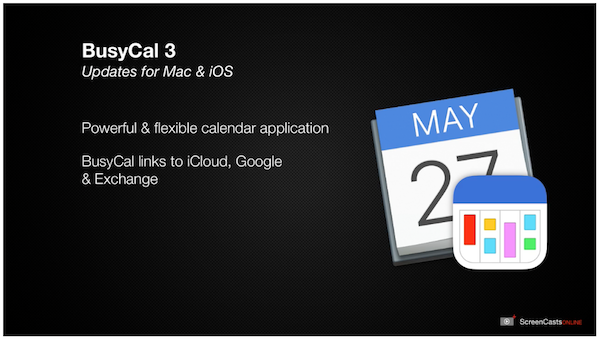 ScreenCastsOnline recently published a BusyCal 3 for Mac and iOS video tutorial. The 52-minute video provides an overview of BusyCal's key features for viewing and managing calendars. The video is available to all ScreenCastsOnline members and is also available as part of a 14-day free trial membership. Check out the BusyCal 3 video tutorial on ScreenCastsOnline!